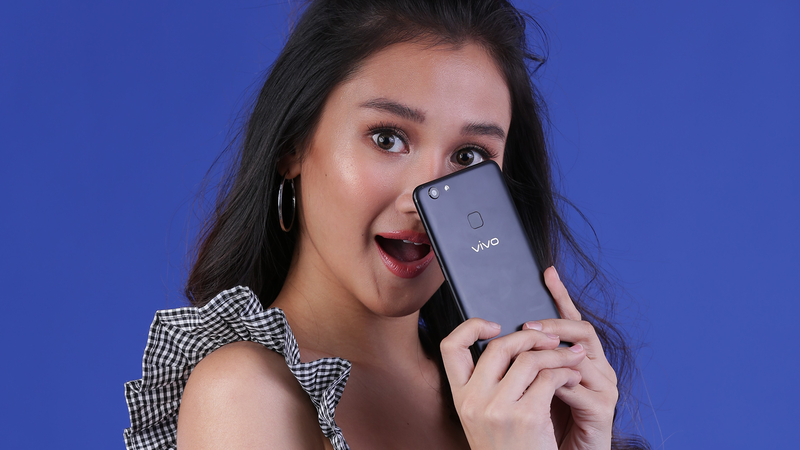 Chienna Filomeno is Vivo's Newest Endorser! Chienna Filomeno is the Twenty-one-year-old social media darling with more than a million in instagram followers. She juggles show business, traveling, being a DJ and now Vivo's latest influencer! She has been overwhelmed by being chosen to carry the Vivo brand! “[I am happy] that [Vivo] trusted me,” she gushes in a brief interview conducted during a photo shoot organized by Vivo. Chienna along with other Vivo brand ambassadors are thrilled of their new addition to the Vivo family. She is so excited that she can now take clear, all-natural selfie with an array of filters to choose from. One of her favorites is the Bokeh effect, an aesthetic quality of out of focus blur in photos that add drama and flare to any selfie from the Vivo V7+! “My selfies are so clear and natural!” Chienna says in reference to the V7+ 24MP front facing camera with LED flash and smart photography algorithms which provides crisp, clear-cut and natural looking photographs. There is also a Special Face Beauty 7.0 that brightens up the photos, and evens-out the complexion to make your selfies even better in dim lighting conditions! Maris Rascal Loves Her Vivo V7+!